Set in 1960s Canada, Indian Horse tells the story of an Ojibway child who loses his family and ends up in a horrific boarding school which aims to “take the indian out” of him. While many children succomb to punishment or disease, Saul survives because he is introduced to hockey by a young priest. The picture of determination, he trains himself to be the best possible player, rising to the level of professional, only to be ground down by racism. This beautifully written coming-of-age novel is often heart-breaking, yet untimately hopeful. 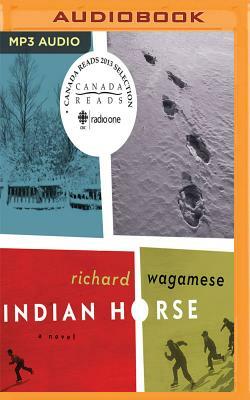 Indian Horse was a competing title for Cananda Reads for 2013 and won the Burt Award for First Nations, Métis and Inuit Literature in 2013. Highly recommended.